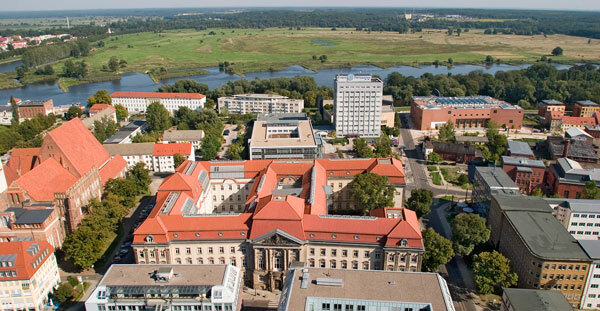 On this website, you will find an overview of the most important locations during your stay in Frankfurt (Oder). 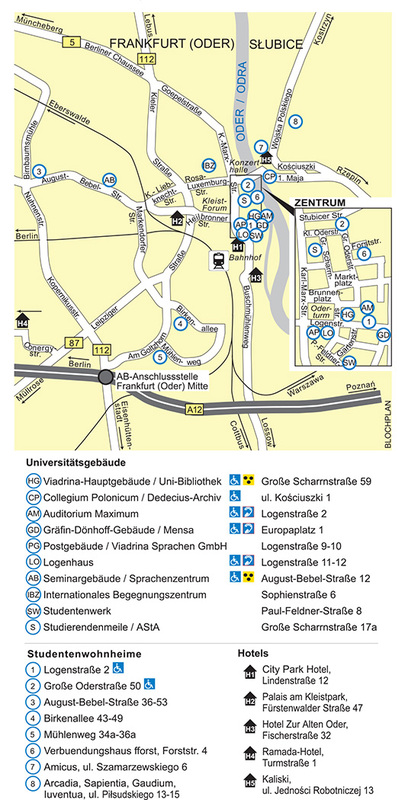 A PDF version of this map with directions is also available here. 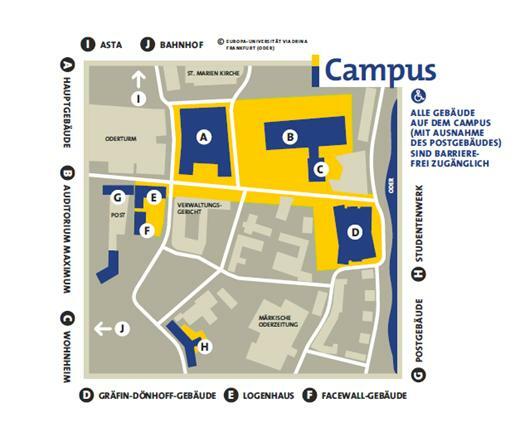 The most important buildings on the European University Viadrina’s campus are found in this PDF here. 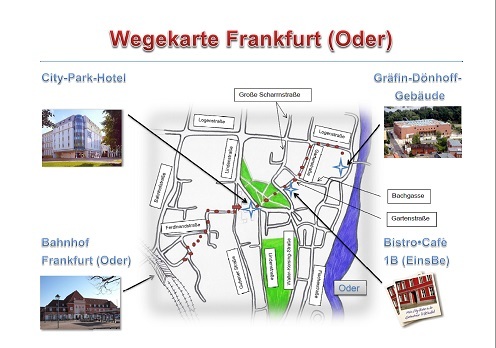 You will find a map of Frankfurt (Oder) here.